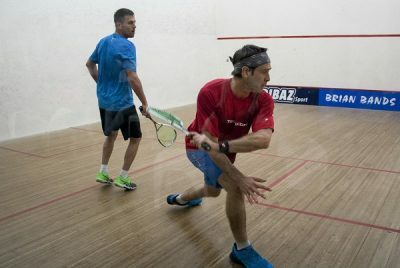 A new men’s champion will be crowned in the Madibaz Open squash tournament when the annual championship takes place in Port Elizabeth from tomorrow to Sunday. Held at the Nelson Mandela University’s south campus, another strong entry has been lined up for this annual event which has been running since 2012. However, for the first time since then champion Gary Wheadon, who is based in Cape Town, will not be back to defend a title he has won for the past six years. Ranked five in South Africa, Wheadon has been a loyal supporter of events in Eastern Province. Besides the Madibaz Open, he has won tournaments at Rhodes and Londt Park on multiple occasions. He is not available to play this weekend because the dates clash with a tournament in his native province of KwaZulu-Natal. “I am sorry that I won’t be there to defend my title but unfortunately I am committed to a tournament in Durban,” said Wheadon. While his absence does rob the tournament of one if its star players, tournament director Jason le Roux said they had still been able to attract a quality line-up to contest this year’s edition. “Even though Gary cannot be here, we have a number of top local players in the field and I am confident we will again have very good competition in the men’s A section,” he said. “Top Port Elizabeth player Rudi van Niekerk will be a strong contender and there will be good competition from John Kuhn, ranked 26 in the country. Van Niekerk, who plays for SA Country Districts provincially but lives in PE, reached the past two finals, but went down both times to Wheadon. Ranked No 15 in the country, he is sure to be the favourite going into the event, which will include a number of provincial contenders. Le Roux added that the leading Madibaz players would be in the field, including himself after suffering an ankle injury. “I had to take some time off, but came through the Rhodes Open [which he won] at the weekend without any serious after-effects so I am hoping to play,” he said. 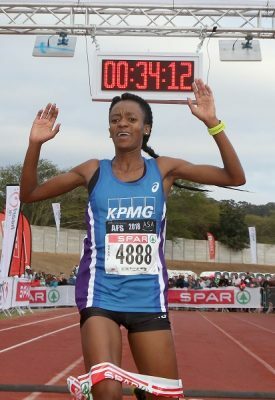 He added that women’s champion Lizelle Muller would be back to defend her title, while promising Madibaz No 1 Hayley Ward would also be in the line-up. Ward has shown her potential this year by reaching the final of the Westview Open in February, where she lost to Muller, and winning the Londt Park Open last month. Madibaz squash manager Melissa Awu said this was an important event on the university’s sports calendar. “It’s a chance to showcase the talent we have at Madibaz squash,” she said. “Secondly, it provides our players with a chance to measure ourselves against the top players in the province. The tournament will cater for various leagues and will get under way tomorrow evening. The action will continue on Saturday, with two rounds scheduled, while the finals will take place on Sunday. 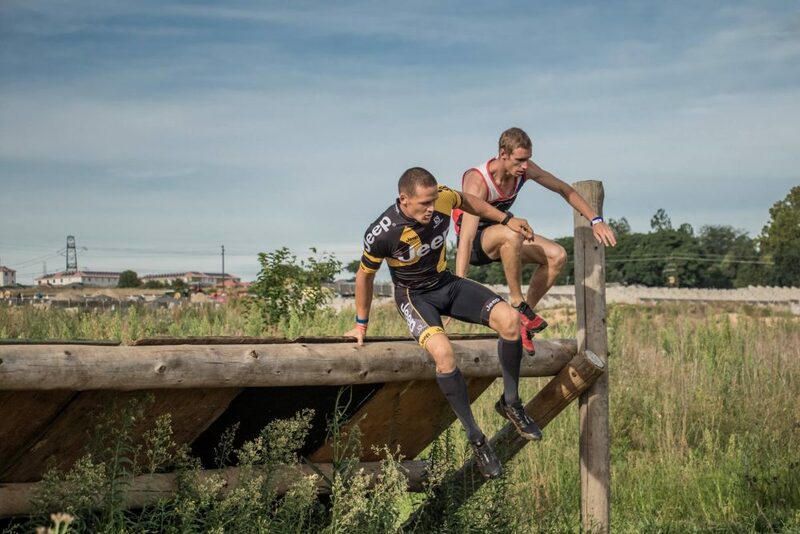 GAUTENG, MIDRAND – This past weekend, 27 and 28 January, Riversands Country Farm in Johannesburg played host to the 2018 season opener of the hugely popular obstacle course racing (OCR) series, the Toyota WARRIOR Series, powered by Reebok. Attracting a huge crowd of approximately 3000 athletes and a few thousand more spectators, the TOYOTA WARRIOR OCR series kicked off with a bang for the Jeep Team OCR Warriors. The TOYOTA WARRIOR OCR series is designed for adventure seekers from all walks of life. With three categories on offer, Rookie, Commando, and Black Ops, this nationwide series has an event for every person, irrelevant of fitness level, wishing to challenge and build themselves up, with thousands of others doing the same, across world-class obstacles. The main event of the weekend was Black Ops Elite. A tough elite athlete course incorporating 35 obstacles over roughly 15 kilometres of trail. These athletes are either climbing, traversing, carrying or gripping from start to finish. It is intense, lung-busting and only the super-fit and OCR-skilled make it to the end. Thomas van Tonder (Jeep Team SA), ranked 2nd in OCR South Africa and three-time Top 10 World Champs finisher, claimed his first victory in this season opener in what was, initially, a close-fought race between South Africa’s top 3 OCR athletes, Bradley Claase, Thomas van Tonder, and 2017 series champion and #1 ranked in SA, Claude Eksteen. The toughest obstacle in the race, Breaking Point, proved to be exactly this as it defeated Eksteen, who eventually finished 34th overall, as van Tonder calmly pulled off a superb strategic win ahead of Claase in second and Jason Friedman in third. Fellow Jeep Team athlete, Jay Jay Deysel, continuing his impressive growth trajectory, finished 6th overall – just 9 minutes behind van Tonder. In the women’s race, 2017 series winner, Trish Eksteen (Team AOT), showed her racing prowess, taking the win ahead of Carla van Huyssteen (Nevarest Team) in second and Nedene Cahill (AOT) in third. What makes their achievements impressive is that the top 3 women all finished in the top 10 overall. In addition to the honours and the R10 000 prize purse, van Tonder and Eksteen each got to drive a WARRIOR-branded Toyota RAV4 until the next event in Bloemfontein on the 17th of February, the first ever Warrior event to be held in the Free State. Van Tonder and Deysel, teamed up with Carla van Huyssteen in the new format Reebok Team Sprint Race and claimed a bronze medal. This short, intense 400m 10-obstacle race is for teams of 3 – two men and one woman. The Thirsty Capies won the Sprint race with Fit Strong BeSnapped in second, and Jeep Nevarest in third. Previous: BEE Prepared for 31 March 2018 – A Race Against Time – Are you ready? – IAS Agencies Masterclass.